With Readly you can read Healthy for You and thousands of other magazines on your tablet and smartphone. Get access to all with just one subscription. New releases and back issues – all included. 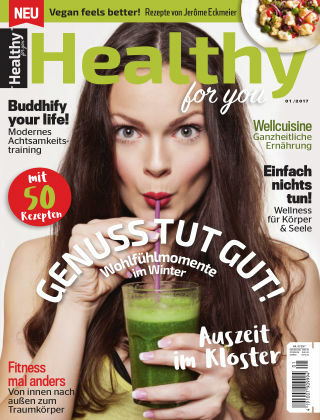 Healthy for You bei Readly ist der ultimative Guide für gesunde Ernährung, Fitness und eine ausgewogene Lebensweise. Einmal im Jahr findest Du hier alles, was du für deine Fitnessziele brauchst.